Superpave is dense-graded HMA conforming to Superpave mix design requirements. WSDOT uses Superpave mixes with the following nominal maximum aggregate sizes: Class 1 inch, Class 3/4 inch, Class 1/2 inch and Class 3/8 inch. The Class 1/2 inch HMA is the most commonly used design but the Class 3/8 inch mixes are gaining popularity since the advent of the Hamburg Wheel-Track Testing device (AASHTO Test Method T 324) as a reliable predictive test for pavement stability and stripping susceptibility. These HMA design specifications are listed in the current edition of the WSDOT Standard Specifications in section 9-03.8. Asphalt Treated Base (ATB) is dense-graded HMA with a wide gradation band and lower asphalt content intended for use as a base course. ATB will serve many paving structure applications and is advantageous in many situations, especially when used in staged construction where the ATB can provide protection of the subgrade and serve as a construction staging surface during construction. The ATB specification is a local agency specification that can be found in the Local Agency specification section on the WSDOT website. Although WSDOT does not use these mixture classifications any more, they may still exist in local city/county specifications using legacy mix design references. In most applications, using a current WSDOT mix design of the same nominal maximum aggregate size is preferrable to using the out-of-date specifications. Class A. Dense-graded 5/8 inch minus HMA with at least 90 percent of the coarse aggregate having at least one fractured face. Its primary use is as a surface course for locations with high traffic levels or when the potential for rutting within the HMA layer exists. 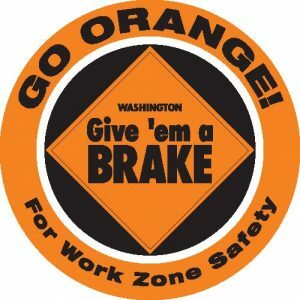 WSDOT current Superpave replacement equals Class 1/2 inch HMA. Class B. Dense-graded 5/8 inch HMA with at least 75 percent of the coarse aggregate having at least one fractured face. Its primary use is as a leveling course or surface course because its nominal maximum aggregate size provides a good compromise between offering a smooth surface texture and low rut potential. This was WSDOT’s “standard” surface course paving mix for lower volume roads. It was supplanted by the Class 1/2 inch HMA Superpave design. Class D. An open-graded HMA. Typically, Class D mixes are placed as 0.70 inch thick wearing courses (essentially, an Open Graded Friction Course for surface applications). Proper maintenance requires a fog seal about every 5 years. The performance of these mixes has varied on the state route system. There is clear evidence that this type of wearing course is susceptible to studded tire wear and therefore it is a rarely used mix. Class E. Dense-graded 1-1/4 inch HMA primarily intended for use as a base course. 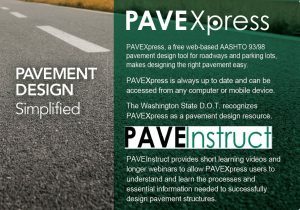 This was WSDOT’s “standard” base course paving mix that could also be used as a heavy duty surface mix. Class E was supplanted by the current Class 1 inch HMA Superpave mix design. Class G. Dense-graded HMA for thin lifts (usually 1 inch thickness or less). The nominal maximum aggregate size is about 0.375 inches. This small size allows for use as a thin surface overlay, in pre-leveling applications, as a hot maintenance seal and for playground, bicycle path and athletic facility pavements. In applications with highway or arterial traffic volumes, the use of Class 3/8 inch HMA Superpave mix is highly encouraged as it can be tested for stability at the mix design stage. Modified Class B or Modified Class 1/2 inch HMA (sometimes called Commercial Mix). Similar to Class B in nature but with a finer gradation. Most of the above mix classes have specific purposes, however it is not uncommon for finer gradation versions of these mixes to be used for commercial and city/county purposes because they can provide a smoother surface texture than a Class A or Class B mix without sacrificing much strength. Modified Class B (Commercial) mixes are more pedestrian friendly due to the smooth surface texture, are less likely to segregate, easier for handwork and easier to use in small quantities. A few agencies, such as the City of Everett, have Modified Class B (Commercial) gradation specifications. The “Typical Modified Class B (Commercial Mix)” gradation plot shown below is from the City of Everett’s specification. Although this gradation is typical, Modified Class B (Commercial Mix) gradations can and will vary throughout the State.